I Make I Talk: Christmas Blessings --- and Happy New Year! 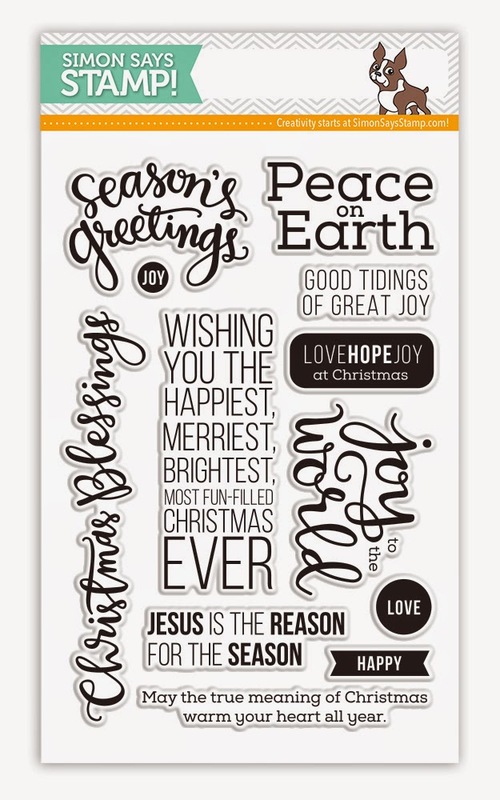 Christmas Blessings --- and Happy New Year! Of all the cards I made with Simon Says Stamp Peace on Earth, this is my favorite. 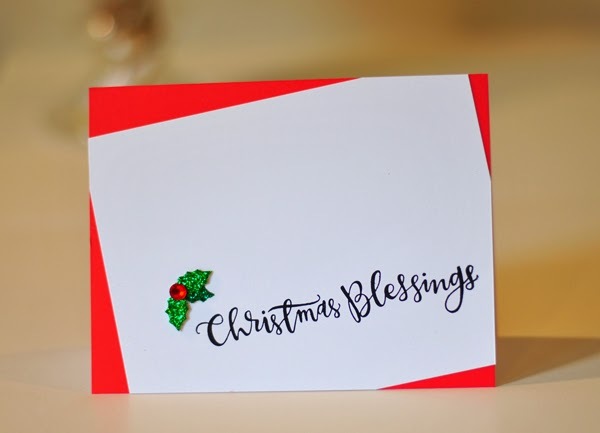 This big sentiment in the classic Kristina Werner handwriting carries a card on its own. Here is a picture of the set. Stamped sentiment on white cardstock, added the premade embellishment (part of my stash, not sure who made it), and adhered the white panel on an angle onto a red card. Once the white panel was down, trimmed the edges. Really a 5 minute card. I may need to make a bunch. I appreciate the free set that Simon Says Stamp sent to me to help usher in #stamptember. Not sure what the company has in mind for this month, but apparently there will be a lot of new product and ???? Back to work tomorrow after a luscious 5 day break, so the posts may not be as often. In the meantime, if you celebrate Labor Day, hope it is a happy one. In my community, school cannot start until after Labor Day (by law) and that is how it was when I was growing up, so tomorrow is like New Year's Day. So, Happy New Year! Love the simplicity of this and the fun offset panel! I feel the same way about September, so Happy New Year to you too! Great card, and you're totally right about the sentiment being awesome enough to carry a card all by itself. I love the unexpected and non-traditional color combo, too. Ok, this is a problem!! the sentiment is black, does it look blue?? otherwise, the card is green, red, white and black. Your card is so clean and positively sweet, Joan! Another amazing CAS card! Great the way you angled the white panel.